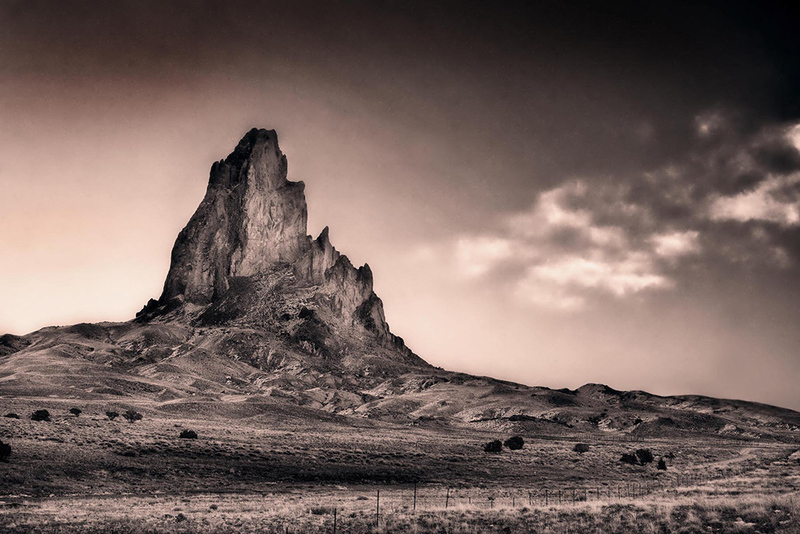 WATROUS, NEW MEXICO, April 8th, 2019 — The National Parks Arts Foundation’s Artist in residence at Fort Union celebrates its fifth anniversary with a freshly added program for Veteran Artists. The program, at the historic northern New Mexico National Monument, is a successful cooperative venture between the National Park Service and The National Parks Arts Foundation to bring a variety of artists to work and live at the monument, and make public presentations. Missouri based William Fields, originally from Connecticut, was precocious in the arts from an early age. At around age 8, he got his first camera. It was a Kodak Brownie box camera that he loved. He was only able to afford to process black and white film. 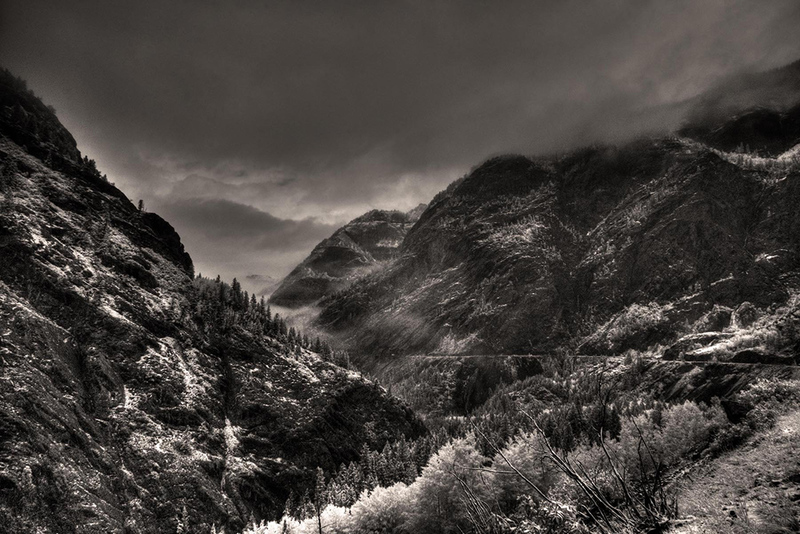 Those early experiences surely imprinted him with a love of monochromatic photography. By the time William was old enough to go to college, the Vietnam Conflict was in full swing. He enlisted in the navy. During his service, he made a Mediterranean Cruise including operations in the vicinity of Israel during the 1966 conflicts with Syria and Palestinians on the West Bank of the Jordan River. William was assigned to an armed emergency squad. He subsequently attended Anti-Submarine Warfare School in Memphis, Tennessee; and was later assigned to a carrier borne flying squadron as a plane captain, deploying on the USS Hornet in the Western Pacific. While serving, He bought his first 35mm camera, a Canon rangefinder. The difference in what he was able to capture with the Canon was night and day by comparison with the fuzzy black and white images he had been shooting with his Brownie. After his naval service, he led a checkered life, working in a host of manual labor jobs to enable his desires to travel, surf, ride bicycles and motorcycles, etc. He eventually began taking college courses and was the first member of his family to graduate from a university. He graduated with distinction from University of Redlands with a BA. He worked for over 30 years in aerospace, laser technology and automotive industries. Early on he successfully sat for the exam and became a certified engineer, although he never attended engineering school. Throughout this time, William continued to study art and became ever more proficient in draftsmanship, printmaking, watercolor painting and of course, photography. He began using Minolta SLRs. After a trip to the Himalayas in 1988-89, people began asking if his photos were for sale. That was the first time he recognized photography as a serious medium. Until then, he had always considered it as an adjunct to his other artwork. He thought of himself as a painter and a printmaker first, who used photography to capture reference material. Before long he upgraded to Nikon equipment, shooting a variety of film including his earliest explorations with Infrared (IR). Due to his work, William has lived in ten States, settling in Missouri in 1993. He was a self-employed management consultant for a number of years, with General Motors, Boeing and many others among his clients. Throughout his years of “bread winning” he continued to study, practice and execute works of art. His devotion to art has been a lifelong pursuit and passion. Today, William is a full-time artist who shoots with a variety of cameras including two Fujifilm X series cameras, one of which is an infrared conversion. He also shoots with a full frame Nikon DSLR, still using the lenses he bought many years ago for his film cameras. Most of his work today is created using these two systems. 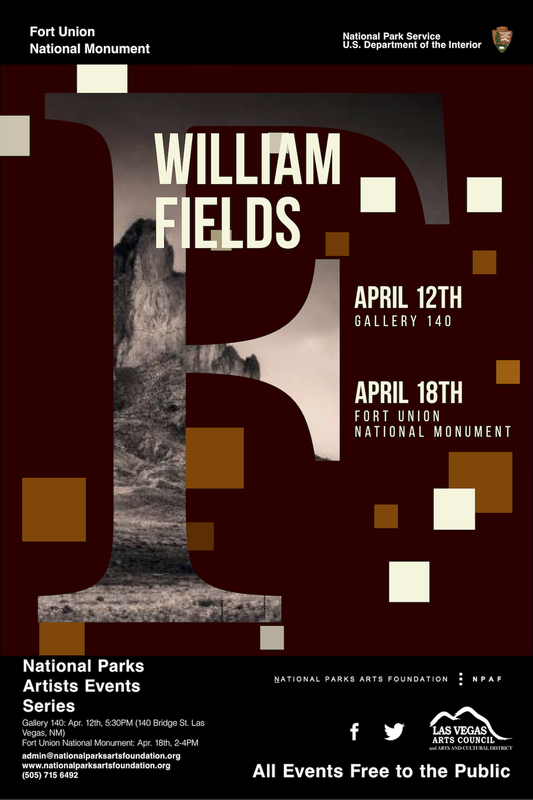 Fields will be doing his first public presentation on April 12th at 5:30 PM at Gallery 140, 140 Bridge St. Las Vegas, NM, sponsored by the Las Vegas Arts Council. 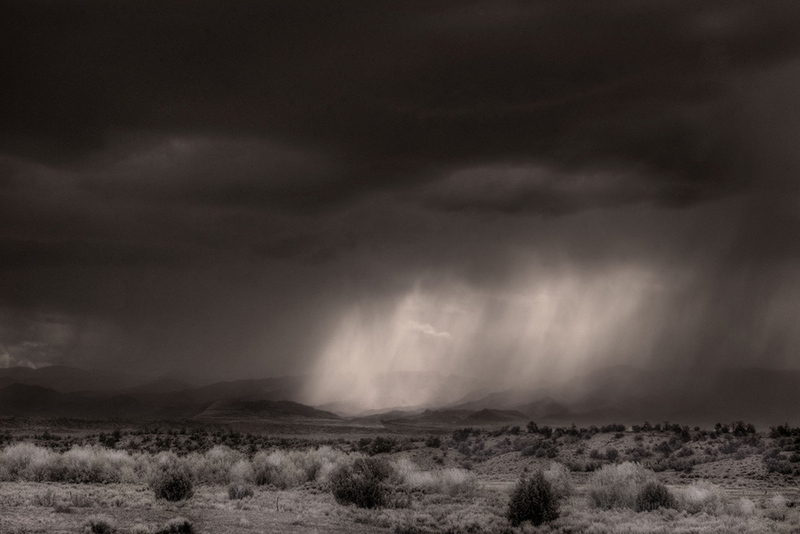 The Artist will discuss his ongoing infrared photographic project of the iconic landscapes of the Southwest, The Four Directions. He will be following up that with a second event at the monument on Thursday, April 18th, at 2 PM, at the Monument’s visitor’s center. Fort Union National Monument, located in Mora County near Watrous, New Mexico, was the largest frontier military post and supply center of the southwest. It also was the hub of commerce, national defense, and migration at the final stretch of the Santa Fe Trail. The richly evocative remnants of a post-civil war era adobe fort became a National Monument in 1954 under the Eisenhower administration. This program, implemented with great success by NPAF at other National Parks, allows visitors to see the Monument through the eyes of world-class artists and visionaries. The AiR program is made possible through the philanthropic support of donors of all sorts ranging from corporate sponsors, small business, and art patrons and citizen-lovers of the Parks. NPAF (www.nationalparksartsfoundation.org) is always seeking new partners for its wide ranging Artist-in-Residence programs.